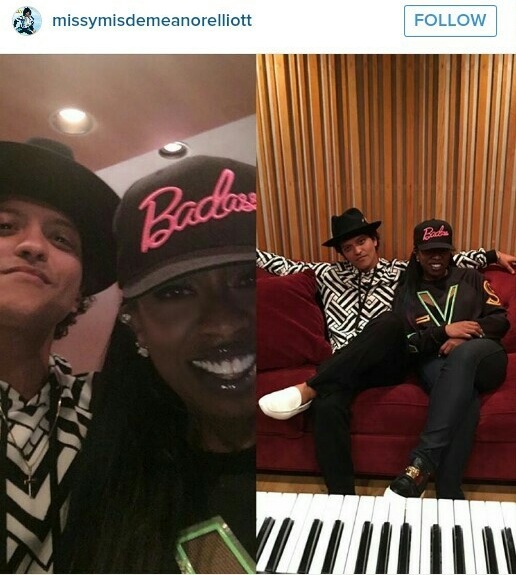 Missy Eliot tweeted this picture of Bruno and her "@ the studio!" ... #whaaaaaat?!! 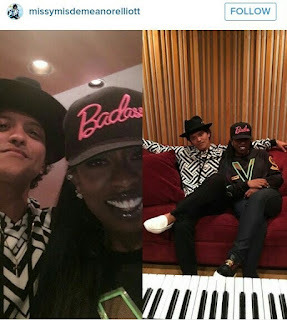 Within the Post's Caption, Missy said that Bruno played her some " ... songs 4 his album ... " and that they were "#INCREDIBLE!" Oh, c'mon now, Bruno! First your Dad (Peter Hernandez) and now Missy Eliot?? Just WHEN do we, your loyal - and only slightly obsessed - Fans, get to hear your new songs as well, hmmm?!! Nah! Just kidding! … We're totally cool waiting. But, uh, just casually wondering, it IS still coming out in September or October, right?